Should You Use Activated Charcoal? 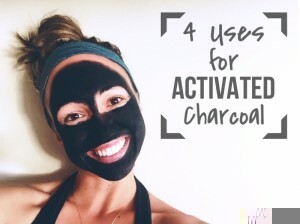 Activated charcoal has one main use; that is to take toxins out of the body. It uses adsorption by trapping toxins and chemicals in its pores. Like a magnet, it attracts heavy metals as well as toxins binding them to the surface. Activated charcoal cleanses the body of mold, which is a big problem in society today and acts as a general detoxification. It gets rid of medicines, alcohol, and other impurities in the body. And if you have yellow teeth, it can whiten your teeth! Have you used activated charcoal for any purpose? Leave a comment below or on our Facebook page.